Road trip map: features Smoky Mountains maps of North Carolina, Kentucky, Tennessee and Georgia with 36 trips. MAD Maps has designed this invaluable travel map for your road trip through the scenic routes of the Great Smoky Mountains. We've traveled these roads, and hand-mapped the most scenic drives, and places to visit along the way-to inspire your journey along the Blue Ridge Parkway and 35 other scenic road trips, day trips and weekend getaways, in and around the Great Smoky Mountains. This is the only complete road map that brings all the best highways, byways and stops along the way to your fingertips. If you are planning to experience the great sites of the region; Cades Cove, the Blue Ridge Parkway, Maggie Valley, Linville Caverns or Blowing Rock you will need this route planner in your glove box. MAD Maps provides beautiful detailed travel maps, and show you the best way to get where you are going. Stop off at the legendary Biltmore House or experience historic Southern Kentucky and the Daniel Boone National Forest. 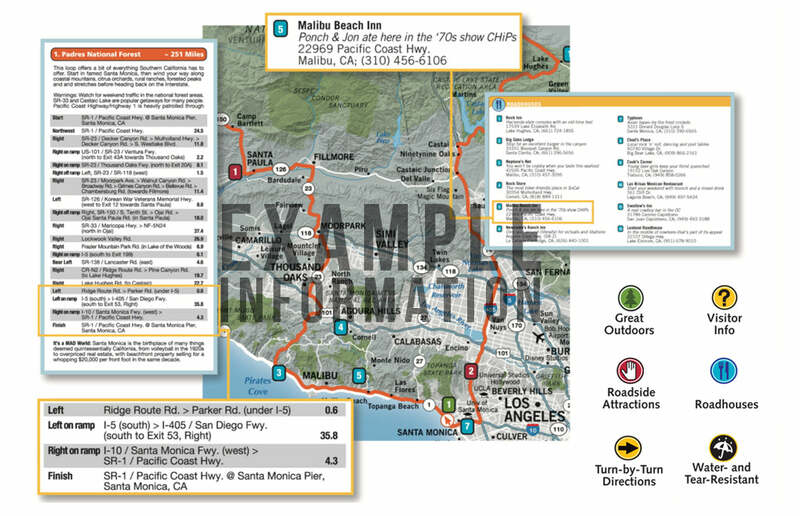 Beyond driving directions, our maps not only contain such insight as hot roadhouses (great places to eat) and tips to guide you to the stunning panoramas that make a trip memorable, but also provide details to clue you in to rides such as Deal's Gap, with an unbelievable 318 turns in 11 miles. Our travel maps guide you to the mind-blowing roadside views, to the waterfalls of the Blue Ridge Parkway in North Carolina or Cumberland Plateau of Eastern Tennessee. Discover the wonderful landscapes of the Cherohala Skyway, and Nantahala Gorge. It's time to explore one of the most storied regions in the country. Our Smoky Mountains Regional Scenic Tours map is a great resource to get you into less-known drives, and sweeping panoramas that have made this area famous. You'll see lush valleys, rich forests and striking ridges as these twisting mountain highways and byways that lead you through the birthplace of bluegrass music.